The Honolulu Marathon is unique for many reasons, not the least of which is its tropical location. Not that that’s any bargain come race day. With its warm, humid conditions and Diamond Head hill to climb going out and coming home, Honolulu is by far the slowest of the top echelon marathons in the world. Imagine any other marathon whose course record still doesn’t average 5:00 per mile pace. And yet in its 42 years the Honolulu Marathon has etched a place of honor both in the sport and at home, long recognized as one of the world’s most iconic marathons. This week the Honolulu Marathon Association’s president of the last 27 years, Dr. Jim Barahal, was inducted into the Hawaii Sports Hall of Fame. 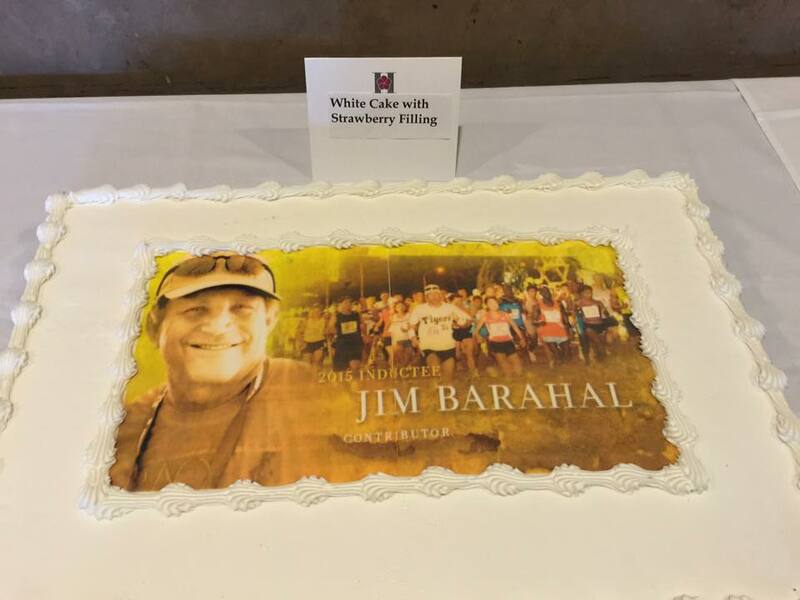 Dr. Barahal was inducted Tuesday evening at a ceremony at the Honolulu Country Club alongside surfing legends Sunny Garcia, a six-time Triple Crown of Surfing champion between 1992 and 2004, and surf organizer and promoter for 30 years Randy Rarick. A Detroit-area native who came to the islands in 1979, Barahal quickly became one the islands’ top runners as he had trained with the University of Michigan track team while in med school. With his knowledge of the sport, and a glib, media-friendly persona, Barahal soon began doing radio commentary for the marathon in 1980 – which is when we met as I had been brought in the year before as a race analyst. By 1984 Barahal and fellow Michigan grad Dr. Jon Cross, a dentist by profession, took over as elite athlete coordinators for the Marathon, and embarked on a policy of upgrading the event’s elite competition. The man who would validate the Barahal-Cross assumption was a Kenyan graduate from the University of New Mexico, Ibrahim Hussein. After winning a trip to Hawaii at the Duke City Half Marathon in 1984, Hussein was introduced to Drs. Barahal and Cross by the local Adidas rep. Since the ex-Wolverines had been college teammates of 1983 Boston Marathon champion Greg Meyer, they were astute students of the game, and soon realized Hussein was a top talent. In 1985 Hussein returned to Honolulu and blew away the old course record by more than three minutes, posting a time of 2:12:08. The following year he attacked from the gun, went through the halfway mark in 1:03:30, and still came home in a new record 2:11:43, a time that held up as Honolulu’s record for 18 years until fellow Kenyan Jimmy Muindi took the mark down to its current 2:11:12 mark in 2004. Hussein would go on to win the New York City Marathon in 1987 and the Boston Marathon in 1988, `91 and 1992, becoming the first African to win each. In the ensuing years under Barahal and race director Cross Honolulu has become known as a breeding ground of champions. Kenya’s Cosmas Ndeti debuted in Honolulu 1992, taking second place to his friend and cousin three-time Honolulu champion Benson Masya. The following spring Ndeti won the first of three straight Boston Marathon titles. In 1993 South Korea’s Bong-ju Lee won a spirited battle in Honolulu against little known South African Josiah Thungwane and Boston champion Ndeti. In 1995 Thungwane returned to take top honors on the island. 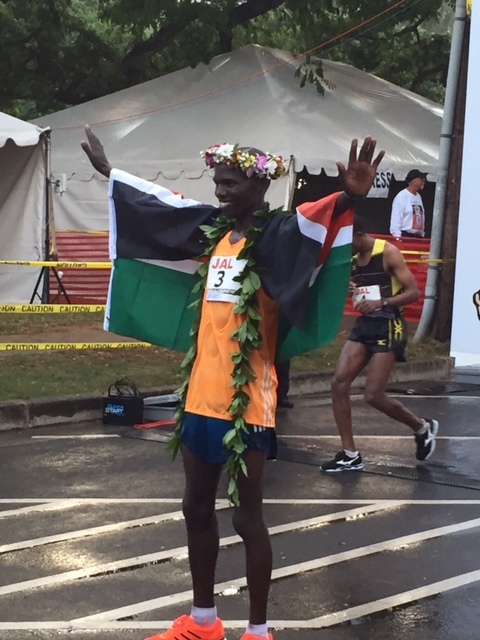 One year later Thungwane and Lee took gold and silver at the Olympic Marathon in Atlanta, well served by Honolulu’s warm weather and Diamond Headed course. Besides improving the athletic standards at the Honolulu Marathon, Barahal also oversaw the huge increase in participation that has made Honolulu one of the top ten marathons in the world, and number four in size in the U.S. behind New York, Chicago and Boston. With huge new numbers in hand, Barahal signed Japan Air Lines as the marathon’s principal sponsor, an association which lasts to this day, as the Honolulu Marathon has traditionally been the largest marathon in the world for Japanese runners (though Tokyo has taken over that title in the last several years). And with no cutoff time for its finishers, Honolulu makes all levels of participants feel its Aloha spirit in equal measure. With the high tourist season in Hawaii not beginning until the third week in December, historically the first two weeks of the month have been among the lowest for tourism for the Waikiki Beach hotels and businesses. But with the Honolulu Marathon drawing tens of thousands of runners and friends to the islands on either the first or second weeks of December, generating more than $100 million in annual revenue, Hawaii governor David Ige calls the Honolulu Marathon the state’s most important annual sporting event. In recent years Barahal has directed financial support for youth sporting events on the islands, such as the HHSAA/Honolulu Marathon Cross Country Championships and the Honolulu Marathon Track and Field Invitational. And three years ago he created another new event, The Hapalua, Hawaii’s Half Marathon in April as a sister event to the marathon. Overall, it’s been a legacy of excellence and commitment that mirrors well the best attributes of the sport itself. Congratulations, Jim, on the well deserved honor. I, too, wish to add my congratulations to Dr. Jim Barahal for his induction into the Hawaii Sports Hall of Fame. I have not been to the Honolulu Marathon since the early ’80’s but watched from afar as both Jim Barahal and Jon Cross have maintained the true athletic credibility of the event while still growing it into the 4th largest marathon in the USA as a race for the masses, too. That way they have both the sporting aspect as well as the positive economic benefits for the Islands. They were both at Michigan when I competed for Illinois in the Big Ten Conference and I grew to respect them even back then. Kudos to Jim and I hope Jon gets inducted, too, some day soon. Extra kudos for that quote!!! Well done, and keep up the good work! Very well-deserved. 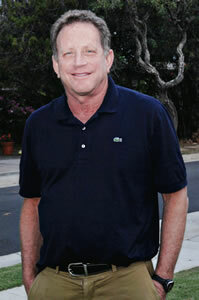 Congratulations Jim. The Honolulu Marathon is a unique and special event indeed.